Hodnet, Market Drayton, Shropshire, TF9 3NN. The gardens at Hodnet Hall have been there since the eleventh Century when the Heber Percy family built a house in woodland. Today there are over sixty acres of woodland garden which are renowned for the variety of their planting and the streams and waterfalls. I was lucky enough to be invited for lunch at Hodnet Hall with the present owner and his wife Algernon and Mrs Heber Percy who have maintained the present state of the gardens in immaculate style since they were laid out in 1921 by Brigadier Heber Percy in their present form. Mr A.E.H Heber Percy is the present Lord Lieutenant of Shropshire. 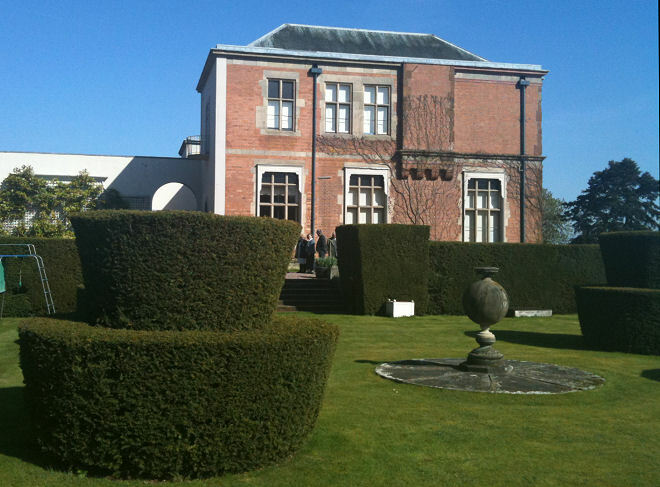 I’m afraid I have no idea whether the Topiary garden is generally open to the public as it has a swimming pool in it and is very much used by the family. 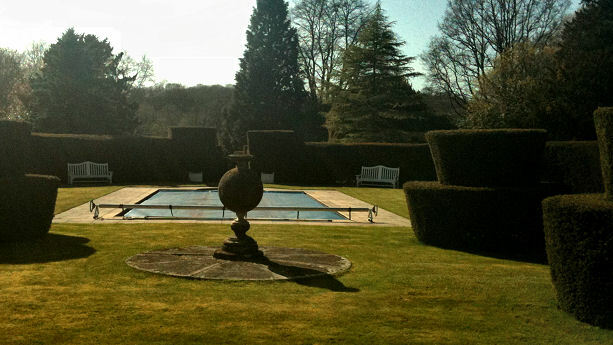 I have to say having your own private swimming pool surrounded by topiary and hedges ticked all my boxes at once though. Mrs Heber Percy introduced me to the head gardener who was pleasantly surprised that he had a topiary nut wandering through his garden. 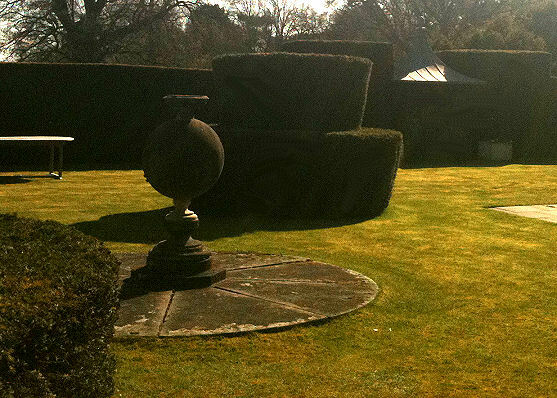 The yew topiary surrounding a swimming pool!